Proud producers of prime pork sausage have been invited to submit their finest creations for a celebration of all that’s brilliant about the Great British banger. Framlingham SausageFest, which attracted more than 5,000 culinary connoisseurs to the historic market town last October, is seeking possible contenders for the Best BBQ Banger of 2014. Jenny Stockman, event organiser and Framlingham Business Association’s chairman, said: “We are building on the runaway success of last year to make this year even bigger and better. “Everyone has done their best to seek out the best sausage producers in the region but we may have missed someone. Challengers for the title will take up stalls around the streets of Framlingham offering their finest porky produce to the festival-goers as they take a taste tour around the town. Visitors will then vote for their favourite sausage maker to take the crown. The event, which takes place on Saturday, October 11, will also feature cooking demonstrations, competitions, children’s entertainment and limousine rides between venues. Visitors can park for free and are invited to sample the bustling weekly market or take a break in one of the town’s many cafes and pubs. 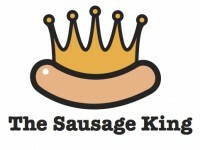 To recommend a sausage-maker email chair@framlinghambusiness.co.uk or call 01728 726500.